Sarah Nader- snader@shawmedia.com Marengo graduate Baylee Votava (center) relaxes while waiting for Marengo High School's commencement ceremony to begin Sunday, June 1, 2014. Votava plans to study at the University of Wisconsin in Milwaukee this fall. 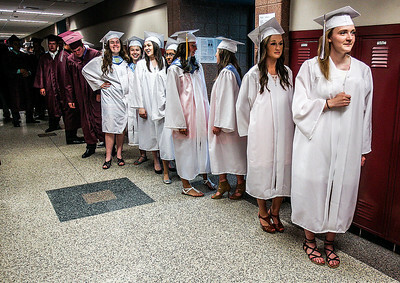 Sarah Nader- snader@shawmedia.com Marengo graduate Jessica Stevens (right) line up with her classmates before Marengo High School's commencement ceremony to begin Sunday, June 1, 2014. Sarah Nader- snader@shawmedia.com Marengo graduates, Lexandra Werle (center) and Kathryn Wilyat play hangman while waiting for Marengo High School's commencement ceremony to begin Sunday, June 1, 2014. Sarah Nader- snader@shawmedia.com Marengo graduates, Monica Saporta (left) and Richard Saucedo wait in line before Marengo High School's commencement ceremony to begin Sunday, June 1, 2014. Sarah Nader- snader@shawmedia.com Marengo graduate Nicole Hammortree walks to her seat during Marengo High School's commencement ceremony to begin Sunday, June 1, 2014. Hammortree plans to study at Marquette University this fall. 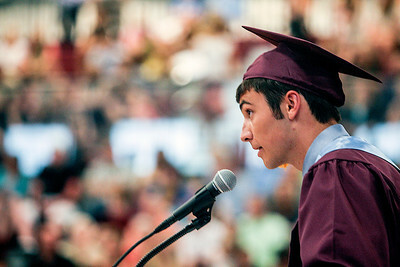 Sarah Nader- snader@shawmedia.com Marengo valedictorian Jonathan Beldin makes his address during Marengo High School's commencement ceremony to begin Sunday, June 1, 2014. 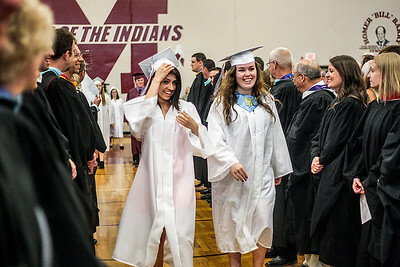 Sarah Nader- snader@shawmedia.com Marengo graduates walk to their seat during Marengo High School's commencement ceremony to begin Sunday, June 1, 2014. Hammortree plans to study at Marquette University this fall. 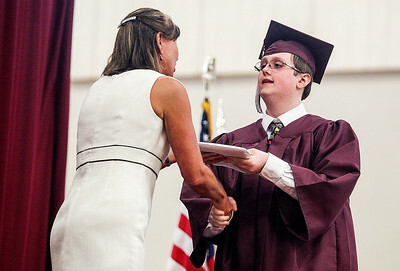 Sarah Nader- snader@shawmedia.com Marengo graduate Kasey Collins receives his diploma during Marengo High School's commencement ceremony to begin Sunday, June 1, 2014. 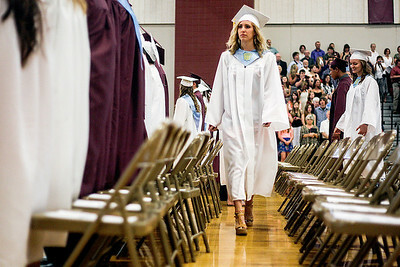 Marengo graduate Nicole Hammortree walks to her seat during Marengo High School's commencement ceremony to begin Sunday, June 1, 2014. Hammortree plans to study at Marquette University this fall.